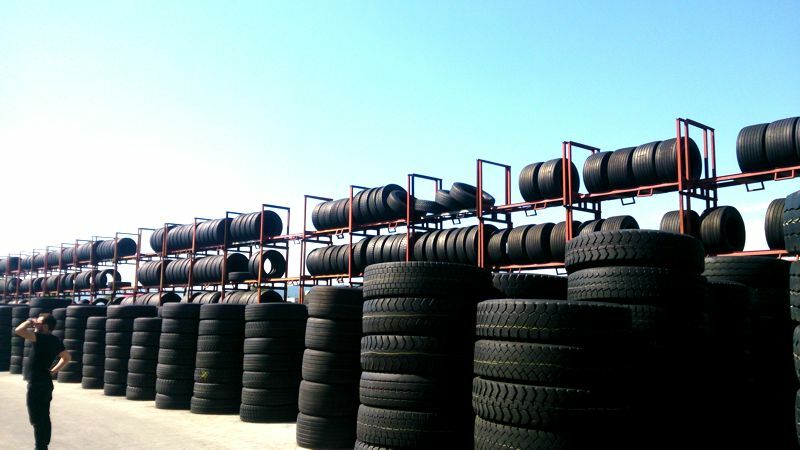 We collect high quality used tyres from Switzerland through our own Swiss subsidiary. 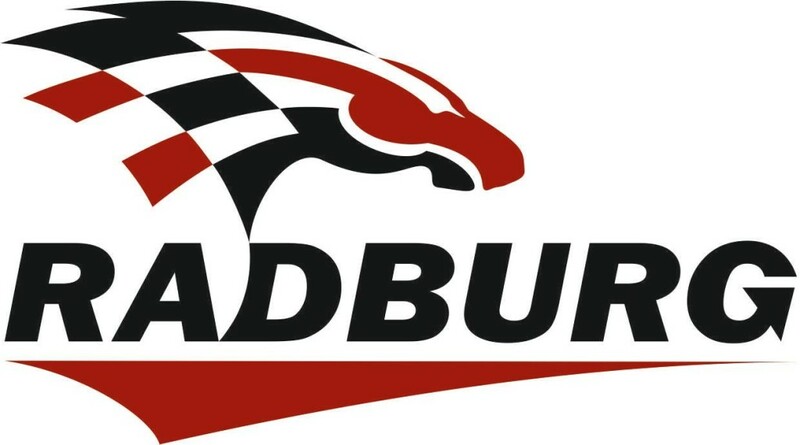 We bring them to our facilities and put them through the following inspection process: initial check – visual check, pressure test, measure, evaluate, sprayed in black and stripe in colors according with their value: yellow – low grade , red – middle grade, blue – high grade, green – almost new top quality tyres. The reception and inspection facilities. Tyres are barcoded and put through a second to none inspection process. 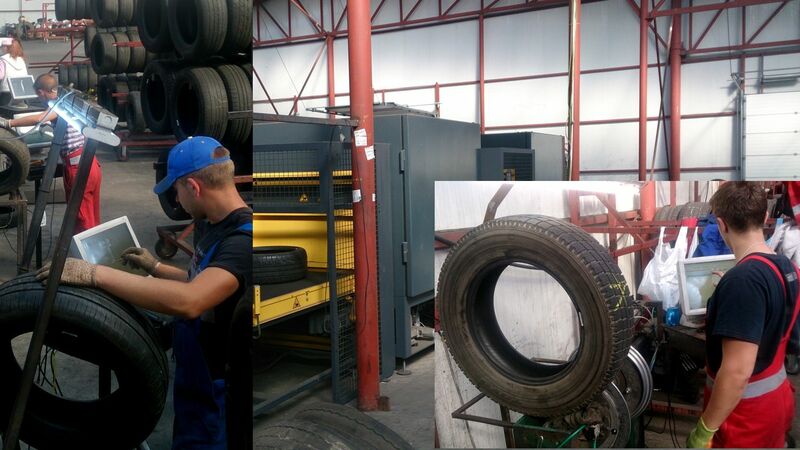 With our bar code system we are able to monitor every tyre which enters our facility until it leaves our facility. Inspection process: all data on each tyre are inserted in our system. All the information regarding visual inspection, pressure testing, shearography inspection for internal damages are inserted in our system. 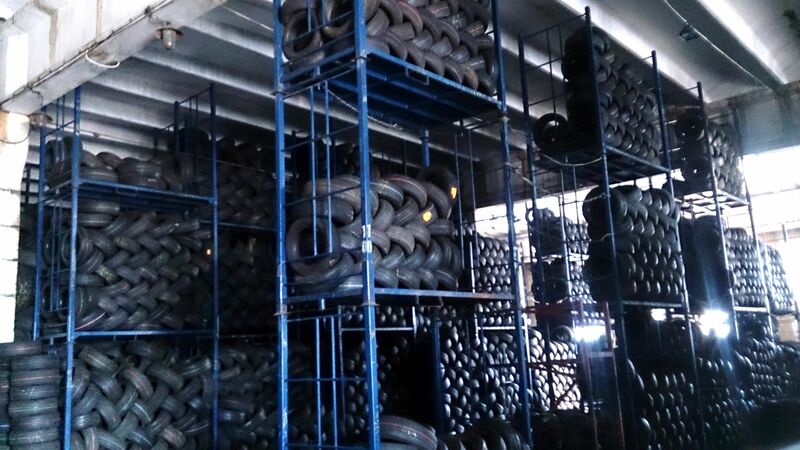 This way we can always know our stocks, where are the tyres and which stage of inspection they are. 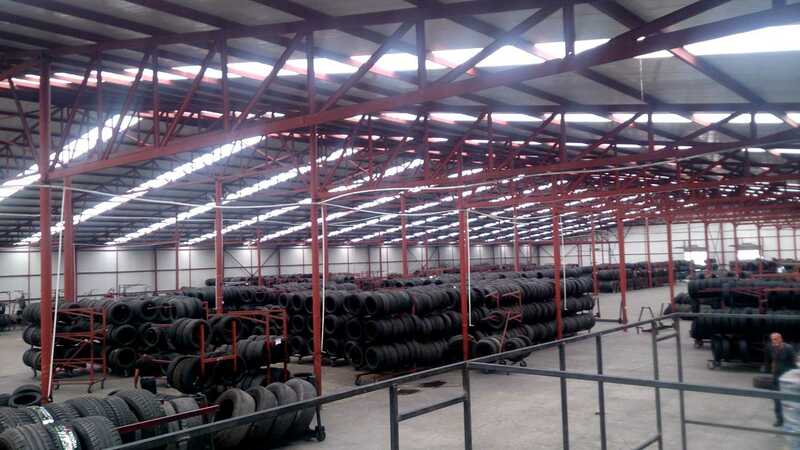 Used tyres warehouse. Tyres are black sprayed, color striped with different colors depending on tyre quality. We have an unique grading system for used tyres that takes into account: tread depth, DOT, brand, if has any repairs or not and even the popularity of the size!